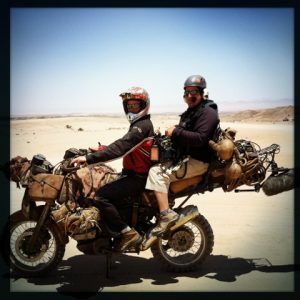 Sound Devices 7-Series recorders go on a wild ride with cast and crew of Mad Max: Fury Road and proves vital in high-speed production across the hot, sandy landscape of Namibia. Namibia, Africa As the title implies, Mad Max: Fury Road is a mad and furious, high-action post-apocalyptic film set in a desert wasteland. The plot calls for a warlord’s harem to race across the sandy landscape in a desperate, high-speed bid for freedom from his ruthless henchman. Both escapees and their pursuers form an “armada” of armored vehicles. Hidden within that sandstorm were members of the audio crew, trying to capture every bit of dialogue and sound effects, all while in motion. 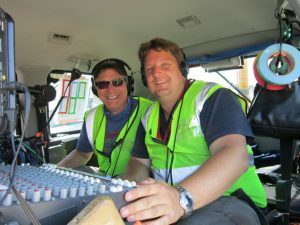 Faced with such a monumental challenge, veteran production sound mixer, Ben Osmo, and vehicle FX recordist, Oliver Machin, turned to Sound Devices’ 7-Series of digital audio recorders. Oliver Machin’s bag system for recording vehicles in the last weeks of the Namibia Shoot included his 788T and a CL-8. The 788T-SSD is equipped with eight full-featured microphone inputs and twelve tracks of recording. In a compact, light-weight, stainless steel and aluminum chassis, the 788T-SSD accommodates individual controls and connectors for each of its eight inputs, as well as numerous additional I/O and data connections. Mounted to the 788T-SDD, the optional CL-8 accessory is a powerful mixing control surface, providing rotary faders for each of the recorder’s eight inputs, plus input routing and setting control. The 788T-SSD comes with a factory-supplied, high performance solid-state drive, which provides several important benefits including vast internal storage capacity, continuous recordings of over 60 hours of 24-bit, 8-track audio at 48 kHz, plus better immunity to shock, temperature extremes, and zero acoustical output. In addition to its superior shock immunity, the SSD used in the 788T-SSD also enhances data transfer due to its increased transfer speed versus a spinning hard drive.